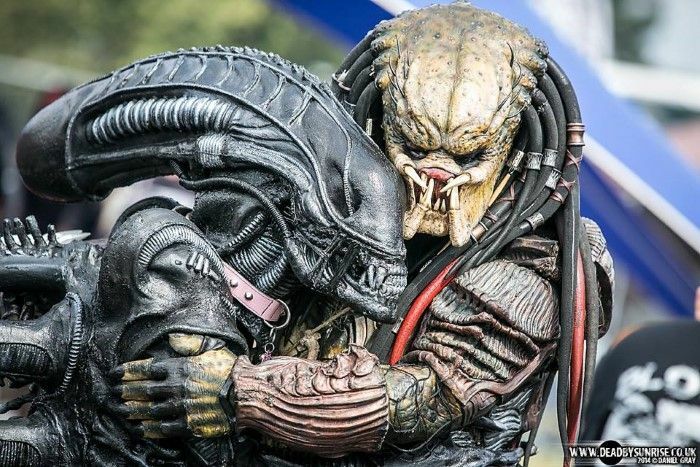 Alien Loves Predator UK is a fan page on Facebook that follows the crazy real-world adventures of two costumed film characters, Pedro T Predator and Abi T Alien. The Xenomorph and Predator seem to be an inseparable pair in all of their comical photos. The close friendship between the two totally reverses the usual adversarial relationship seen throughout the Alien vs. Predator franchise. You can also follow the odd duo on deviantART (Pedro and Abi).